^ "History | Lydden Hill". lyddenhill.co.uk. Retrieved 2019-01-24. ^ a b Smith, Robert (January–February 2013). "Last of the Breed: MV Agusta 850SS". Motorcycle Classics. 8 (3). 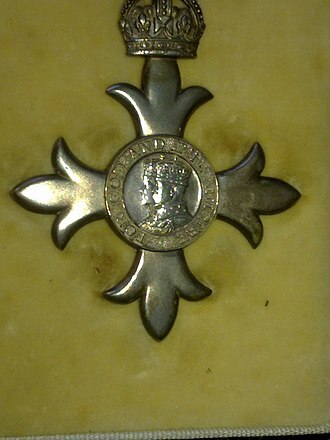 Retrieved 31 January 2013. ^ Alan Cathcart (July–August 2007). "1957 MV Agusta 500 Quattro". Motorcycle Classics. Retrieved 12 August 2009. ^ "HENRY SURTEES FOUNDATION - Overview (free company information from Companies House)". beta.companieshouse.gov.uk. Retrieved 2018-08-28. 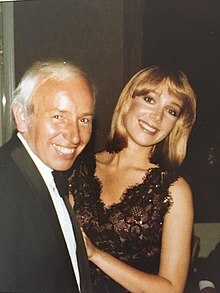 ^ "Obituary: John Surtees". Sunday Times Driving. 2017-03-20. Retrieved 2018-08-28. ^ "Henry Surtees Foundation". www.henrysurteesfoundation.com. Retrieved 2018-08-28. 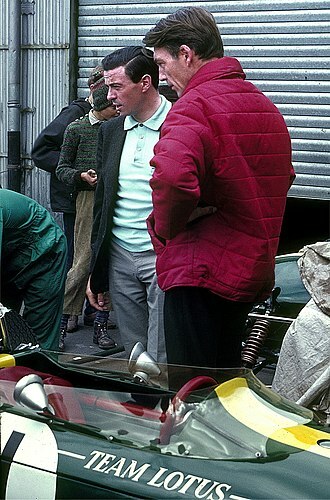 ^ a b c "Profile for racing driver John Surtees". motorsportmagazine.com. Retrieved January 31, 2018. 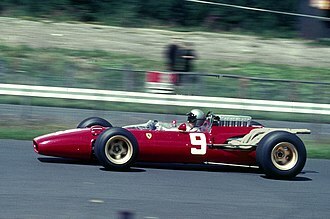 ^ "All Results of John Surtees". racingsportscars.com. Retrieved January 31, 2018. 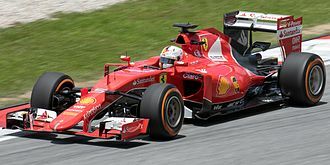 The 1972 Formula One season was the 26th season of the FIAs Formula One motor racing. 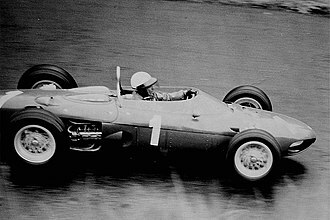 It featured the 23rd World Championship of Drivers, the 15th International Cup for F1 Manufacturers, the World Championship season commenced on 23 January and ended on 8 October after twelve races. For 1972 Team Lotus focused again on the type 72 chassis, imperial Tobacco continued its sponsorship of the team under its new John Player Special brand. 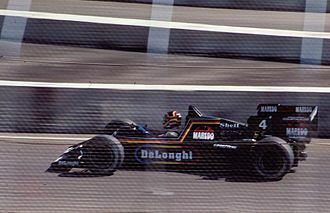 The cars, now referred to as JPS, were fielded in a new black. 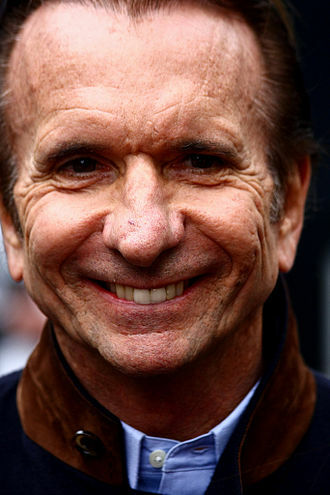 Lotus took the championship by surprise in 1972 with 25-year-old Brazilian driver Emerson Fittipaldi who became the youngest world champion at that point, Stewart came second in the championship. The British Racing Motors team took its last victory when Jean-Pierre Beltoise won the rain-affected 1972 Monaco Grand Prix in a BRM P160, the Dutch Grand Prix was cancelled this year because of safety arrangements that were not completed for the race. 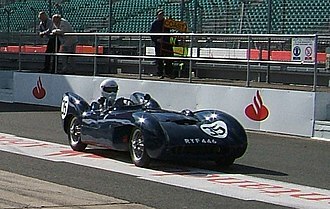 It was supposed to be held between the Belgian and French Grand Prixs at the location, Zandvoort. 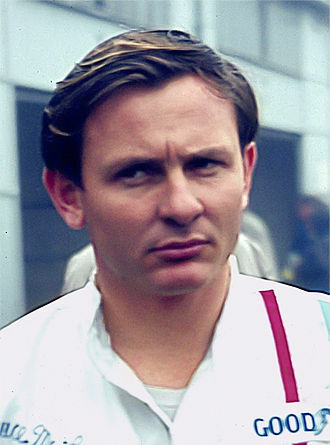 Also, a second American motor race called the United States Grand Prix West, the Mexican Grand Prix was scheduled to be the last race of the season, but it was cancelled after local interest dissipated after the death of Pedro Rodríguez. The Formula One circus returned to Argentina in January for the first time since 1960, the short No.9 arena configuration of the Buenos Aires city autodrome was used, and Argentine Carlos Reutemann, in his first ever F1 race took pole position in a Brabham-Ford/Cosworth. 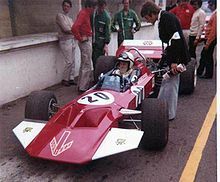 Reutemann unfortunately did not win – defending champion Jackie Stewart of the UK won in a Tyrrell-Ford/Cosworth, the southern hemisphere tour continued in South Africa at the Kyalami circuit near Johannesburg in March. 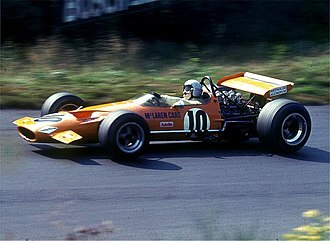 Denny Hulme won the race in a McLaren-Ford/Cosworth, which was McLarens first F1 victory since 1969, Formula One started its 4-month European tour in Spain at the Jarama circuit near Madrid. 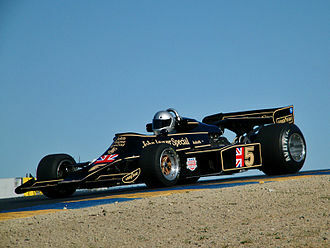 The Lotus 72, improved after suspension revisions to the chassis to make the car better suited to slick tires won in the hands of Brazilian Emerson Fittipaldi – winning his 2nd ever F1 race. The Norton Motorcycle Company is a British motorcycle marque, originally from Birmingham, UK. It was founded in 1898 as a manufacturer of fittings and parts for the two-wheel trade, by 1902, the company began manufacturing motorcycles with bought-in engines. In 1908, a Norton-built engine was added to the range and this began a long series of production of single and eventually twin-cylinder motorcycles, and a long history of racing involvement. Production of the military Model 16 H and Big 4 sidevalve motorcycles was Nortons contribution to the WWII war effort, when major shareholders started to leave Norton in 1953, the company declined and Associated Motor Cycles bought the shares. Although motorcycle sales went through a recession in the 1950s, and Norton Motors Ltd was only a small manufacturer, Norton sales flourished. A series of Norton Dominator Twins of 500 cc, 600 cc, 650 cc and the 750 cc Norton Atlas kept sales buoyant, especially with sales to the USA. In 1968, the new 750 cc Norton Commando Model appeared and this kept the vibrations from the rider, giving a smooth comfortable ride. The Commando was a best seller, and voted #1 Motorcycle of the Year a number of times in Britain,850 cc models appeared for 1973, giving more torque. For 1975 an electric start arrived in the 850 Mk3, the largest UK motorcycle manufacturer at the time was BSA-Triumph, comprising Birmingham Small Arms Company in Birmingham, and Triumph Motorcycles in Meriden. BSA-Triumph faced difficulties caused by poor management, outdated union practices, old-fashioned motorcycle designs, the Triumph factory Meriden was the least modern, but workers engaged in a sit-in, forming a workers co-operative. Poore was CEO of Manganese Bronze Holdings, an apparently more concerned with asset stripping than with motorcycle production. Subsequent political manoeuvrings led to the downfall of NVT, as taxpayer-assisted wranglings over amalgamations and sell-offs all, the original company was formed by James Lansdowne Norton at 320, Bradford Street, Birmingham, in 1898. In 1902, Norton began building motorcycles with French and Swiss engines, in 1907, a Norton ridden by Rem Fowler won the twin-cylinder class in the first Isle of Man TT race, beginning a sporting tradition that went on until the 1960s. St George’s Hospital is a teaching hospital in Tooting, London. Founded in 1733, it is one of the UKs largest teaching hospitals and it is run by the St Georges University Hospitals NHS Foundation Trust. It shares its main site in Tooting in the London Borough of Wandsworth, with the St Georges, University of London which trains NHS staff. The hospital has around 1,000 beds and most general tertiary care such as accident and emergency, maternity services and care for older people and it is home to one of four major trauma centres and one of eight hyper-acute stroke units for London. St Georges Hospital provides care for patients from a catchment area in the South East of England. Other services treat patients all over the country, such as family HIV care. The trust provides a nationwide endoscopy training service, as of the end of 2014 it became the subject of the Channel 4 documentary 24 Hours in A&E. 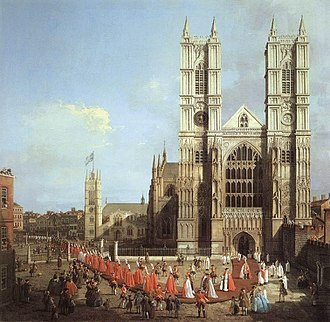 By 1732 the Governors were forced to seek a larger building. The majority of the Governors favoured a house in Castle Lane, the original site was in Lanesborough House at Hyde Park Corner, originally built in 1719 by James Lane, 2nd Viscount Lanesborough in what was open countryside. The new St Georges Hospital was arranged on three floors and accommodated 30 patients in two wards, one for men and one for women, the hospital was gradually extended and, by 1744, it had fifteen wards and over 250 patients. By the 1800s, the hospital was slipping into disrepair, the old Lanesborough House at Hyde Park Corner was demolished to make way for a new 350 bed facility designed by architect William Wilkins. Building began in 1827 and was completed by 1844, by 1859, a critical shortage of beds led to the addition of an attic floor. This was soon insufficient and led to the creation of a new convalescent hospital, Atkinson Morleys in Wimbledon, a medical school was established in 1834 at Kinnerton Street and was incorporated into the hospital in 1868. In 1948, the National Health Service was introduced and plans for a new site for St Georges at The Grove Fever, in 1954, the Grove Hospital became part of St Georges, and clinical teaching started in Tooting. In 1973, building began on the new site, the new hospital and school buildings were now well advanced. Motorcycle Grasstrack is a form of motorcycle racing which typically, in its current form, takes place on a flat track consisting of two straights and two bends usually constructed in a field. It is one of the oldest types of sports in the UK with the first meetings having taken place in the 1920s. In the United Kingdom, kidney-shaped circuits were used to include a right hand bend. 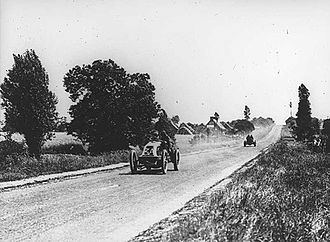 The events traditionally occurred after haymaking and before harvesting season on newly-cut fields, postwar grasstrack circuits included permanent venues such as Brands Hatch and Mallory Park which were not simple oval shapes, although solo motorcycle races were run in an anti-clockwise direction. 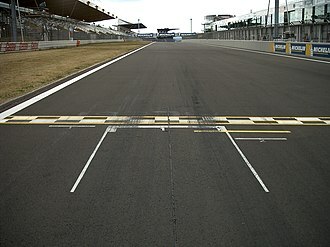 Later, these were converted into tarmac circuits with races using the more common clockwise direction associated with modern roadracing, in the modern era, it is generally similar to Speedway with races usually taking place over 4 laps from a standing start. Unlike Speedway, which has 4 riders per race, Grasstrack racing can have many riders in each heat, Grasstrack has three solo classes,250 cc,350 cc and 500 cc together with three sidecar classes, left-handed 500 cc and 1000 cc and right-handed 1000 cc. The British Grasstrack season usually starts in spring around the Easter holidays. The pinnacle of the domestic Grasstrack season is the British Masters Championships and this official ACU championship is where the British champion is crowned in the mainstream 500 cc solo and 1000 cc right hand sidecar classes. 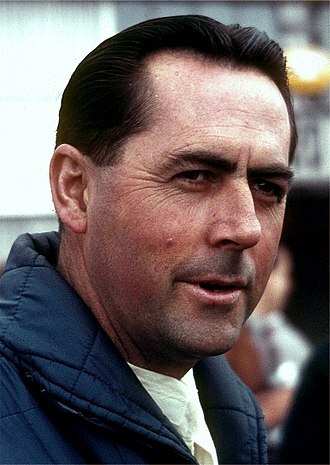 Many famous Speedway riders such as 1976 world champion Peter Collins started their careers in Grasstrack. Some Speedway riders continue to take part in national Grasstrack meetings when their schedule permits, grand Prix road racers John Surtees and Gary Hocking began their racing careers in grass track competitions. 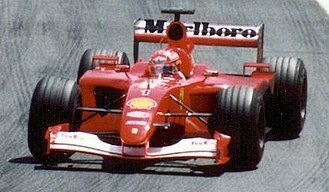 Other competitors from the era included now-famous names such as Bernie Ecclestone. In Europe the same sport is often called Long Track racing, the machinery used is the same as are the riders. Grasstrack racing motorcycles look quite similar to Speedway machines but there are different engine capacity limits for each class, in the UK there are classes for 250 cc,350 cc and 500 cc bikes. Tatsfield is a village and civil parish in the Tandridge district of Surrey, England. It occupies the corner of Surrey, bordering Greater London and Kent, with almost all of its homes on the escarpment of the North Downs. The village area is in a salient of Surrey nudging into Greater London. Biggin Hill is immediately to the north, the boundary with Kent is less than 1/2 mile to the east. The origin of the name is uncertain. The English Place Name Society suggests it is derived from a field or open land belonging to one Tatol The word field denotes a clearing in The Weald, an alternative explanation is that the earliest community began on the hill with church, manor house and rectory. The name could derive from Totehylefelde – meaning a look-out place in a clearing. The appearance of Tot-hyl in a name is a reference to a watch hill and quite possibly to the whole system of Anglo-Saxon civil defence involving beacons, watch hill. Tatsfield appears in Domesday Book of 1086 as Tatelefelle, in Anglo-Saxon England, Tatsfield lay within Tandridge hundred. In 1086 it was held by Anschitill de Ros from the Bishop of Bayeux and its Domesday assets were, ½ hide. 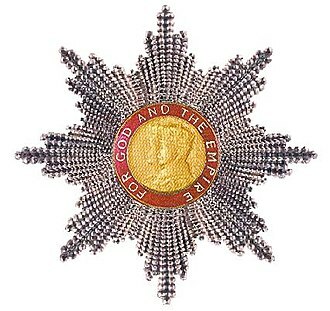 It rendered 60 shillings to its overlords per year. During the mid 14th century the manor was held by Rhodri ap Gruffudd, brother of the last native Prince of Wales, thus in 1392 a grant of the manor of Tatsfield, which was alleged to have been long-concealed, was made by the Crown to John Maudelyn. In 1416–17 John de Stanyngden or Stalkynden conveyed his rights in the manor to John Uvedale, William Uvedale inherited on his fathers death in 1616. He conveyed the manor to a Sir John Gresham, before passing under his nephew, from his son and co-heir, Sir Isaac Shard acquired it in 1717. 1759 Isaac Pacatus Shard wanted a sale, his heir William put it up for sale with three farms containing 500 acres let at £190 a year and 40 acres of wood and it was acquired via a Mr Butler by the last in the line of Greshams. Calcotts was a mansion belonging to the collegiate church of Lingfield at the Dissolution of the monasteries worth £3 6s.